This is the last line before director Alfonso Cuarón throws you into 90 minutes of claustrophobic tension which has no thought of giving you respite. You may not be absolutely familiar with Cuaron’s name, and while he seems to stay under the radar of the Hollywood trades, he’s been contributing on many levels for a while now. His most mainstream stuff that you may know him from would be Children of Men and arguably the best film of the series, Harry Potter and the Prisoner of Azkaban. More film literate people would also know and admire, Y Tu Mamá También, for which Cuaron and his brother Carlos were nominated for an Oscar for Best Writing. The brothers also worked together on the script for Gravity. Cuaron is known for writing and directing deep, troubled and intriguing characters in sticky situations. Even with Harry Potter, he was able to ground the three heroes into this fantasy world of magic and get us to relate to their problems — much more so than Chris Columbus was able to achieve in the earlier films. Cuaron is also known for using the camera to tell a story over incredibly long and complex takes, revealing to us in real-time how the story is to unfold. He doesn’t hide in the editorial. He doesn’t try to drum up false energy and adrenaline with frenetic cutting. He lets the actors do what they do best and he lets us experience the events as if we are participants. This is what makes Gravity such a compelling film. You feel like you are part of it. Many may think that it’s too slow, but I feel that is a result of a bombardment of rapid cuts, crazy cameras, and the facts that people can’t stand and watch something for more than 45 seconds without checking out their cellphones. Sometimes in life, you have to slow down. And slowing down causes you to think and reflect… on who you are and what your life means to you. And that’s frightening. And this is what scientist and novice astronaut, Dr. Ryan Stone (Sandra Bullock), must face — that the crushing emptiness of space is simply a reflection of the crushing emptiness inside her. That is what good storytelling is. Outside of the brilliance of the script, the visuals are haunting and pervasive, but they never are onscreen for the sake of being flashy or calling attention. London’s Framestore spent years on the visual effects and it shows. But oddly, it shows because of the seamless integration into the story. Every detail an nuance had been well researched to provide a foundation of verisimilitude so that we AREN’T pulled out of the story to say “Wow, that was an amazing effect”. The spacecraft and satellite models have been created to the last detail. The animation and digital double work is terrific, and even more so for the digital prestidigitization that happens as the camera moves from the digital characters to the actors. I can only hope that Director of Photography, Emmanuel Lubezki, worked hand in hand with Framestore to develop the stark look and feel of the beauty of Earth’s lower orbit. This attention to detail propagates to Neil Corbould‘s practical special effects work to control Bullock’s performance in perceived weightlessness (at least I assume Corbould is responsible), and also the sound design which pays close attention to the fact that there is no sound in space. That aural vacuum, so to speak, is filled with Steven Price’s score, which adds to the tension and emotion, but also contributes as almost a sound effect where there would otherwise be none. I’m not going to get into anymore, simply because I’ve probably said too much. 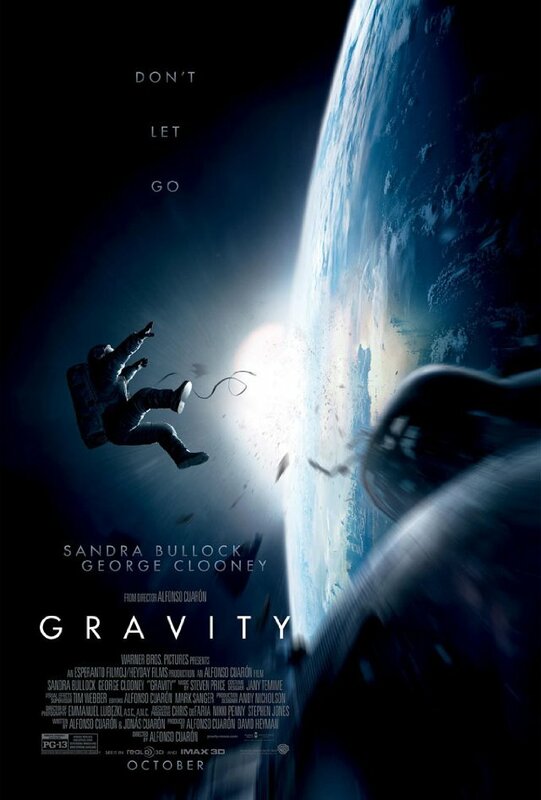 But I highly recommend Gravity. Its been 2 hours since the credits rolled and I’m still thinking about the effect it had on me. Such a beautiful beginning to the fall season after a summer of predominantly dreadful films.